The Ghosts in Maple Leaf Gardens is a not a paranormal story as the title would suggest, even though the main characters are indeed ghosts. The tale is based on the fact that the Toronto Maple Leafs have not won the Stanley Cup since 1967, not due to bad playing or poor management, but because they have been cursed. Despite needing another round of edits to remove numerous typos, this book is a good read. 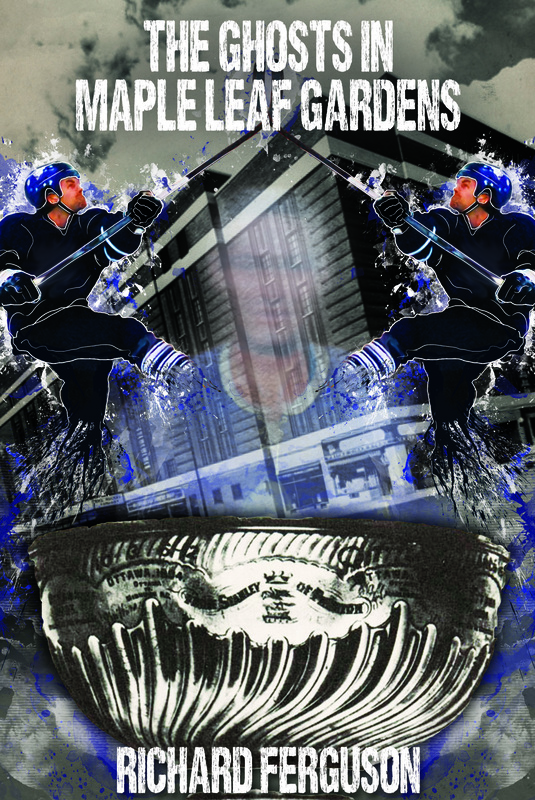 Ghosts would appeal mainly to hockey fans as the book delves deeply into hockey more so than the supernatural elements. For the most part, as I read, I forgot there were ghosts in the story. They are seen by everyone one, not just Ron Bailey, the main living character, and they play hockey in the minor leagues as well as the NHL. Rick Ferguson is very knowledgeable about the ins and outs of the game, uses the names of real hockey players, and has many facts weaved nicely into the story. The only thing that didn’t ring true to me is how no one recognized the ghosts. With the exception of Dale McCaine, the deceased son of the man who cursed the Leafs, all the hockey ghosts are well known players. With all the hockey fans and collectors of hockey memorabilia, no one in the book recognized any of them. Towards the end, one of the players did notice the similarity to one of the ghosts when he spotted a card in a collection, but it was quickly dismissed. The most well known name that came back to play would be Tim Horton, who is now more famous for the coffee shop chain that bears his name than for his time playing with the Leafs. These dead NHLers go under the names of minor leaguers who don’t show up for practice, but the boys whose names they are using don’t seem to notice. I guess we are to assume these young hockey players don’t watch the game, only play it. The lack of recognition is really the only thing about the book that bothered me. I kept waiting for one of the minor leaguers whose name was being used to say, “Wait a minute. That’s not me,” but it never happened. Overall I did enjoy reading this book, and would recommend it. If you don’t like hockey however, you may not share my enthusiasm for the story. ‹ Life’s Soundtrack – Does it Extend to Your Characters?